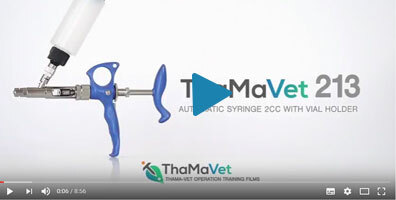 The ThaMa 213 is the most versatile automatic syringe for the treatment of swine. Fitted with a unique multi-purpose connector, Users may choose to administer vaccines directly from the manufacturer’s vial through an all-metal vial holder, or from a light plastic feeding bottle with a handy refill plug. 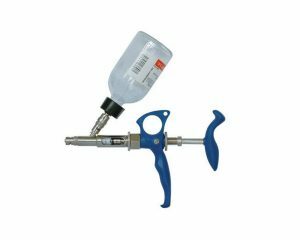 Tube connector connects to large 250cc container is option.